The ‘Downstairs’ Tour gives visitors a glimpse into the lives of Palace staff over the centuries. Household staff were essential to the aristocratic way of life. 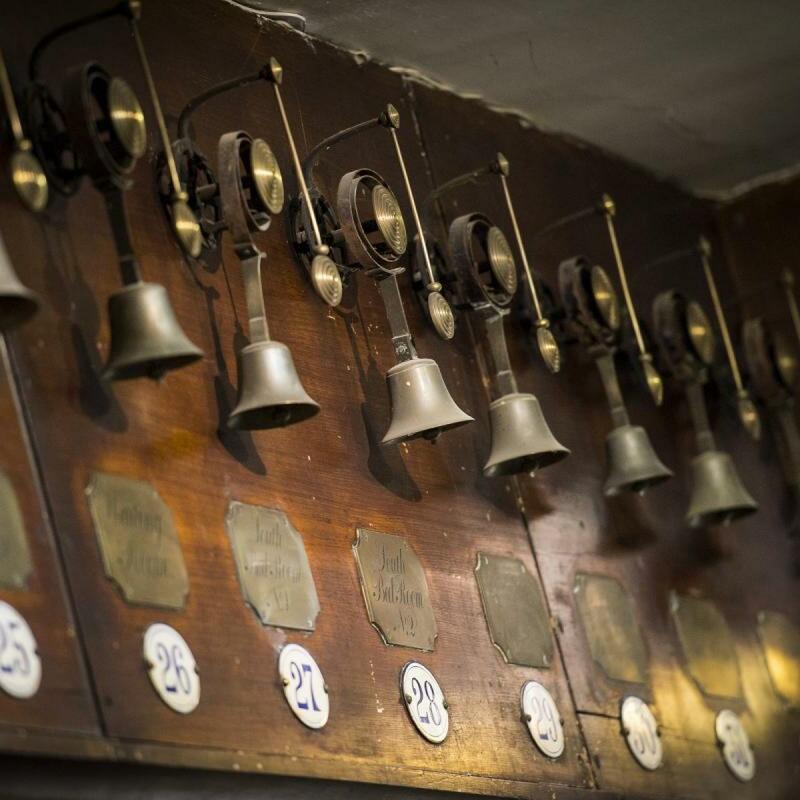 Visitors can wander through the network of corridors, see the iconic bell system as well as some areas which are still in use by Palace staff today, including the kitchen. Along the way, hear about the gossip and perks of the job from the staff’s point of view. This tour lasts approximately 40 minutes. If booked in advance, please take your e-ticket to the Welcome Desk to collect your tour tickets. Book your space online or at the Welcome Desk. Please note this tour is not suitable for young children, children under 5 are not allowed on this tour. An accessible route for wheelchair users is available.